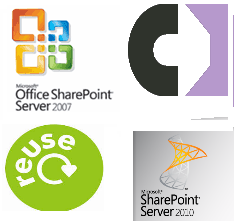 Last week someone had ask me for some tools and good resources for helping him with his old sharepoint projects that were not yet migrated. Thanks to http://chanakyajayabalan.wordpress.com i had found a useful step by step how to build a costume Membership and Authentication provider for Sharepoint. This kind of customization is very useful in extranets and website with a restricted area that goes outside the AD boundries. In fact in the past days i had my self to do a concept proof of integration between Sahrepoint 2010 and outsystem for a client my and if i had this information it could be quickly to implement.